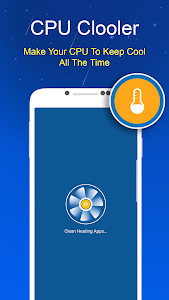 AIO(All-In-One) Super Cleaner and Booster 5X is the best android Phone Booster, Junk and cache clean, CPU cooler, Fast charger, App lock. Make your phone faster than ever. With All-In-One 5X you can free up storage and residual files, boost RAM, fast charging and privacy guarder with the applock on your Android devices. All-In-One Toolbox 5X bring you more Light, Fast and Smart moblie experience on Android 2018. 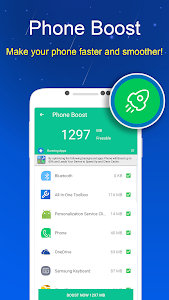 ✔️ Phone Booster: Make your phone faster and smoother! All-In-One Super Clean and Boost 5X can speed up phone and improve phone performance by scanning and removing junk. Remove old junk files such as sytem cache trash & logs. 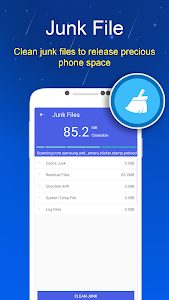 AIO Cleaner 5x, the best cleaner master! You can add a extra password protection to sensitive apps, such as, Facebook, Gmail, WhatApps, Message...Lock your private apps by pattern or PIN. Guarding your privacy is easier than ever! 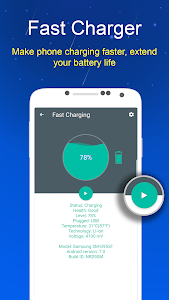 All-In-One Super Cleaner and Booster 5X will help you master and optimize your background apps, ram cleaner and cool down your phone and save battery. Similar to "All-In-One Super Cleaner and Booster 5X"